When a news story breaks, does your organization play by the traditional rules of engagement, or does your PR team snap into action and seize media opportunities? Newsjacking, as bestselling author David Meerman Scott defines it, is about injecting your ideas into breaking news stories. It favors quick, observant and skilled communicators who are able to follow and react to news in real time. It’s a technique that can be employed by large enterprises, small businesses, nonprofits, politicians and even individual bloggers to garner attention that drives powerful business results. 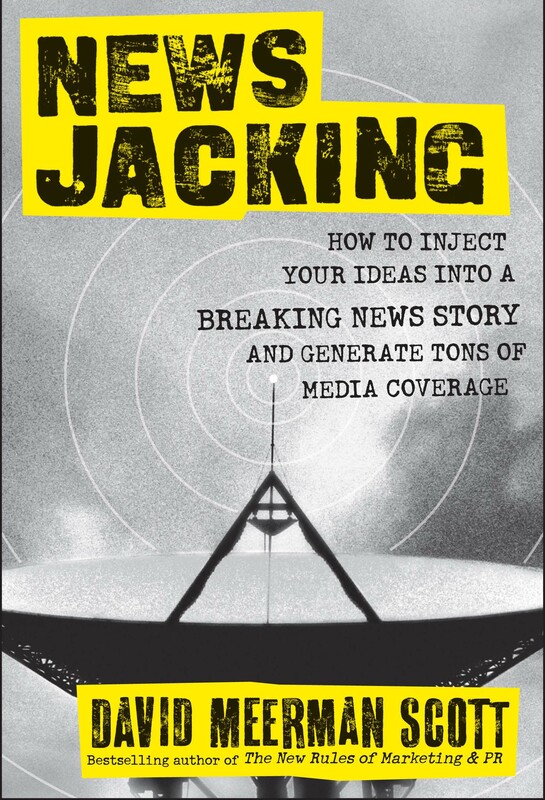 In his new digital-only book — Newsjacking: How to Inject your Ideas into a Breaking News Story and Generate Tons of Media Coverage — Scott lays out a three-step process for effective newsjacking. Organizations in highly regulated industries, and those bogged down by lengthy approval processes, will struggle to compete as more nimble organizations capitalize on real-time news opportunities. Speed is essential to success. The model PR teams break down barriers within their organizations and put systems in place that give them the authority to react 24/7. 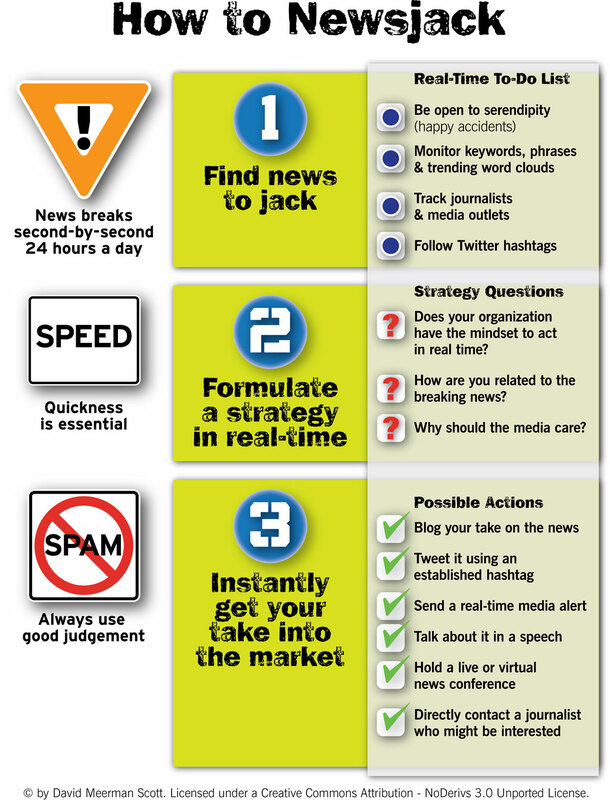 Rather than methodically plotting strategy, and moving messaging through the chain of command for approval, newsjacking-savvy PR professionals have the ability to quickly craft messages and push them out through social networks, blogs, media alerts, videos and other real-time channels. There is risk associated with this dynamic level of communications, but the greatest risk comes from standing still. We live in a real-time world. It’s time to evolve your PR strategies and become a part of the news as it happens. The digital book, which is available for the Amazon Kindle and Apple iPad, provides tools that you can use to monitor the news, as well as case studies and examples that demonstrate how to strike at the right time. It’s a quick read, full of resource links and tips on how to develop a real-time mindset in your organization. I’d recommend every PR pro read it, and push for your companies and clients to integrate a newsjacking mentality into their campaigns. 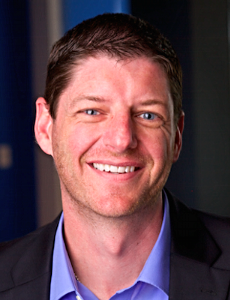 Paul Roetzer (@paulroetzer) is founder and CEO of PR 20/20, and author of The Marketing Agency Blueprint (Wiley, December 2011).